This week in Lagos is set to be a week like no other as Celebrity A-Listers will be hosted to an exclusive Google+ experience in Lagos where members of the Google Nigeria team will share the bells and whistles of the transformative Google+. “Google is keen to give a small and select group of Nigerian celebrities, social influencers and content creators a unique and in-depth look at all Google+ has to offer, including integration with YouTube and Google Search, and help them become among the first to get fully on-boarded onto this new social platform.” Google has said in an official statement. Selected Guests at the event would have an opportunity to learn about the great features of Google+ as well as an integrating the social content platform with youtube. They would also experience firsthand a Google+ “Hangout” which is a ‘magical’ way of connecting with select fans online. The event would also offer guests ideas on exciting things they can do with their fans and how they can elevate the performance of their brand in Google Search. With all the activities lined up, all is set for a tech event like no other which would hold on Thursday, April 12 at 10 at the GET Arena in Lagos. 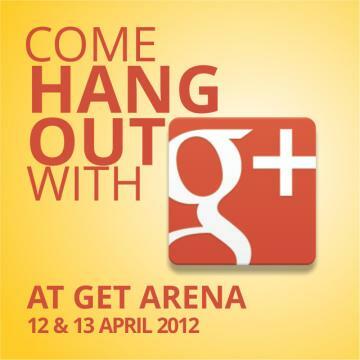 The interactive afternoon will be a high-wired event powered by innovative technology as guests will be able to interact through Google+ and other Google products in a fun, interactive way. The event will be a unique techie experience for social media enthusiasts and for those who value what social media can do for their brands and content locally and internationally. Updates of the event can be followed on Twitter via #gplusgidi.